Through an educational partnership with the Orchestre symphonique de Montréal (OSM), the children's and youth orchestra of the Garage à musique was able to take part in an unforgettable experience. The orchestra took to the stage of the Maison symphonique de Montréal, accompanied by young people from the Collège Durocher Saint-Lambert and the Collège Regina Assumpta. 350 professionals, scholars and researchers were in attendance this year to discuss the theme Understanding and Addressing Health Inequities. Unveiling of the report on identification of the most vulnerable communities on the smallest scale: Implantation des nouvelles cliniques de pédiatrie sociale en communauté au Québec, Toni Esposito, Ph. D., Université de Montréal, and Catherine Roy, Ph. D., McGill University, in conjunction with the Ministère de la Santé et des Services, the Ministère de la Famille and the Ministère de l’Éducation et de l’Enseignement supérieur. 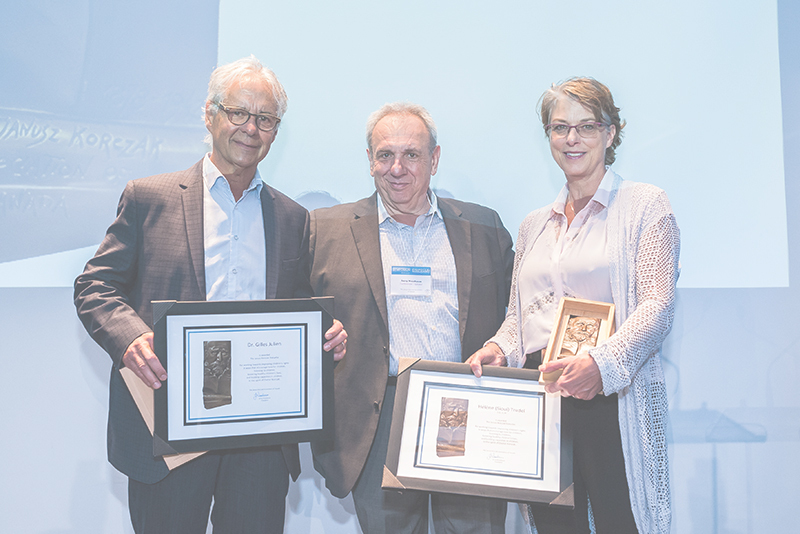 The Janusz Korczak Association of Canada awarded the inaugural 2017 Janusz Korczak Statuette award jointly to Dr. Gilles Julien and Hélène Sioui Trudel. This award highlights the contribution of an individual or an organization in safeguarding the rights of children. The 2017 Prix Hippocrate was awarded to Dr. Gilles Julien and the Fondation for its social pediatrics approach within the community through multidisciplinary action. This award is given out annually by the magazine Le Patient to professionals who stand out through an exemplary interdisciplinary practice. The Carrefour de pédiatrie sociale opened in Vanier, Ontario. This opening marks the start of the social pediatrics movement at the nationwide level. The 2017 Estrellita and Yousuf Karsh Visiting Professorship award in pediatrics, Children’s Hospital of Eastern Ontario (CHEO), was awarded to Dr. Gilles Julien. This annual award highlights the work of an eminent physician, and provides recipients an opportunity to share their expertise with their peers. The Fondation du Dr Julien joined forces with the Montreal Museum of Fine Arts to provide new artistic experiences to children in very vulnerable situations who are receiving social pediatrics care. The Ce qui me rend heureux exhibition represented a celebration of the successes of these children, based on themes developed around their fundamental needs, responding to what makes them happy. The Fédération des médecins spécialistes du Québec presented an award of excellence in interdisciplinarity to the community social pediatrics team of the Fondation du Dr Julien. 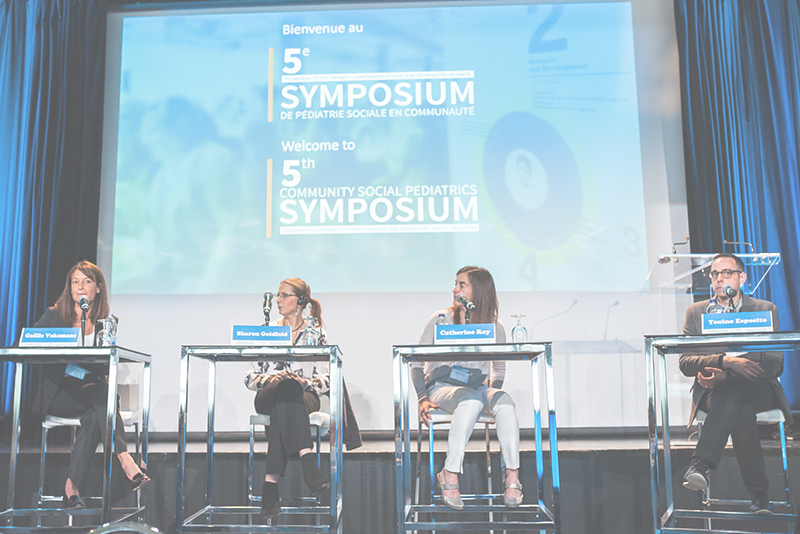 This award recognizes the innovative approach of the community social pediatrics centres, supported by an interdisciplinary team (medical, psychosocial and legal). The Child Links with Adults and Networks (CLAN) program was launched as a pilot project. It strives to empower youth aged 9 to 13 years, by explaining to them their rights and responsibilities, to become the first agents of change in their neighbourhood. These youth are supported by the adults around them in the community, through knowledge on human rights and social action. The book Le mentor et le jeune pédiatre, an exchange of correspondence between Dr. Gilles Julien and Dr. Francis Livernoche on the current issues in the health system and of their practice in social pediatrics, is published by Éditions Stanké. In recognition of the invaluable commitment of our great volunteers, the Fondation du Dr Julien presented its first Volunteer Awards – 2017 Volunteer of the Year, 2017 Outstanding Volunteer Honorary Award and 2017 Commitment of the Year Award. In cooperation with the Fondation Jasmin Roy, the Fondation supported a group of students who had experienced bullying in school, to ask the Government of Quebec to take action against bullying in schools. To keep informed of our activities, follow us. Our presence on social media is stronger than ever.